Most online sellers are now aware of the importance of listing products on Amazon. But if you’re to stand any chance of scaling your business and staying efficient, inventory management tools are a necessity, not just a benefit. The ability to manage all of your stock inventory from one central dashboard is an absolute must and makes a manageable job out of something otherwise extremely difficult. Luckily, there is a wide variety of Amazon inventory management software solutions out there. The best of the bunch are incredibly powerful – to the point of potentially transforming your Amazon business. 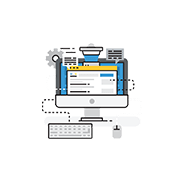 As an Amazon consultancy business, we focus on boosting our customers’ rankings in high competition keywords and have achieved unparalleled success in this area. As you can imagine, this has involved spending the last few years going into extreme depth with all of these tools. We have arrived with a list of the most useful and best value inventory management tools for your money and decided to share it with you! Anybody who sells products on Amazon or is interested in doing so in the near future will find value from this list. 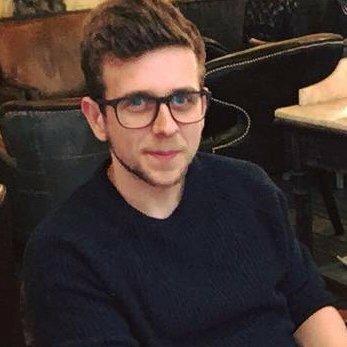 As one of the leading Amazon consultancy companies, we regularly get asked which tools we think are the best or which ones we use to achieve the results shown in our crazy case studies. In response to these queries, we decided to let you know our personal recommendations. After all, there are few things more annoying than signing up for an expensive subscription and then finding another piece of software that does more. At the end of the day, using the correct inventory management tool could be the difference that allows you to scale your business to the next level. I would like to also take this chance to tell you that zero money has changed hands for this article – this is our real, unbiased opinion based on years of results, and will continue to be updated and moved around if other tools become more effective. We spend a lot of time working out the most effective way to manage Amazon businesses. If you’re interested in other Amazon management software tools, you might like to read our monster list of the Top 56 Amazon Seller Tools. For Amazon seller hopefuls who are yet to make a start, our guide to trending products to sell online in 2019 will be a huge inspiration. It’s important to remember Amazon management isn’t easy. If you feel like you need help from some of the best minds in the industry, a great first step is to check out our case studies to see the incredible results we’ve achieved for other companies. Accurate, up to date information on your stock, it’s condition and whereabouts is absolutely crucial to running an effective business. Losing sight of this can mean financial losses, fulfilment issues and unhappy customers. 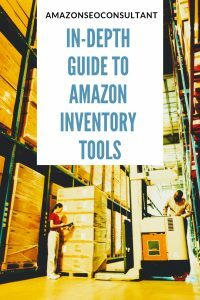 It’s almost impossible to succeed on Amazon without the correct help, so let’s take a look at the best stock management tools. Forecastly is a pretty handy Amazon FBA tool that focuses mostly on making your supply chain management run more smoothly and minimising the chances of running out of stock. Forecastly builds up data of your sell-through rate over time and provides notifications warning you of when you need to order more stock, and how much. It’s not much of an all-in-one solution, mostly focusing on this aspect of running an FBA business alone, but it can still be very useful as it takes care of making sure your inventory is well stocked, leaving you to focus on more important things like boosting conversions or profits. Pricing packages are pretty good too, with subscriptions ranging from $80 a month (for up to 3,000 orders per month) up to $240 per month for up to 25,000 orders, with 20% off when billed annually and larger packages available by quote. Overall, we would recommend using one of the tools further down the list if you’re looking for an all-in-one inventory management package, but what Forecastly does, it makes extremely easy and therefore is a pretty strong choice, even taking into account what it doesn’t do. Brightpearl is more of a jack-of-all-trades, but actually does a fairly good job of mastering them all. You get one well-designed dashboard where you can manage your inventory, profit margins, customer database and orders all in one place. The convenience and efficiency this provides is pretty amazing. Brightpearl also allows you to easily export your Amazon product data to eBay, Shopify and similar, allowing you to manage your entire eCommerce empire from one page on your laptop. It even allows you to manage multiple price lists and stock locations, as well as providing comprehensive reporting options. Pricing starts from $375 per month and custom packages are available. We do find this a little pricey compared to the other options and their offerings, but it is a great piece of software regardless. If you’re looking for an all-in-one inventory management tool, you can certainly do worse than Brightpearl. RestockPro focuses on streamlining your operations, cutting down the time investment involved in tracking inventory or shipments. It is completely scalable meaning it can be used by sole traders or multinational corporations alike, and has some other handy functions such as the ability to create custom labels, manage suppliers and more. RestockPro is a convenient and instant way to convert your FBA data into actionable inventory insights. Subscription packages range from $139.99 to $599.99 depending on the number of orders you handle, but there is a free trial available if you just want to see how it works for you. We highly recommend RestockPro if the biggest obstacle you face when managing your inventory is time – it genuinely does make tracking things a lot quicker and more manageable. TeikaMetrics offer a great FBA inventory management suite that allows you to track your profitability and find new suggestions for sales opportunities, alongside managing your stock inventory and shipments. TeikaMetrics is very expensive compared to anything else on this list (ranging from $499 to $2,499 per month), but this is because it’s actually an all-in-one solution that helps you manage refunds, research keywords, schedule targets, analyse profit and comes with plenty of other benefits. However, it is listed here specifically because it’s inventory management options are industry-leading when it comes to large scale inventories. If you’re new to selling on Amazon, the price will likely put you off, but for larger businesses who hope to manage their stock from one location, TeikaMetrics will be a huge boon to your business. It also comes with a free trial in return for your email address, allowing you to give it a go and see what you think without the risk that comes with those prices. The AmazonSEOConsultant Verdict: 9/10 for large scale businesses, 7/10 for smaller. AMZPing’s tool Shopkeeper is our selection for the best value for money Amazon inventory management tool there is at the current moment. One thing Shopkeeper does better than anybody is to give you a wide view of data and information at a single glance, offering you remaining quantities of all of your stock along with time projections for how long they are expected to last. They have put a lot of effort into UX and UI, something most tools of this type don’t bother with. The result is a super attractive and pleasant to use dashboard, that has every piece of information you need exactly where you’d expect it to be. They even manage to tie their other features into the inventory tracking suite, for example telling you how much profit you could make if your sales sped up by a certain percentage or how many days you’d be without stock if your entire inventory sold out today. In terms of pricing, Shopkeeper doesn’t allow you to purchase its inventory tracking tool alone, but luckily the entire package is still available at an amazing value. Subscriptions range from $20 per month up to $90 for anything between 0 to 5,000 orders per month, with a $250 per month option giving you unlimited orders per month. For our money, this makes Shopkeeper the best value Amazon inventory management tool around, and we highly recommend you at least check out the free trial. Hopefully, this guide has gone a long way towards helping you understand the inventory tracking options that are available. If you are just starting an Amazon FBA business or thinking about it, your next read should be our guide to successfully Launching a Product on Amazon. We will be back soon with more useful insights for Amazon businesses, and don’t forget to check out our case studies to see the incredible results we get for our clients on a regular basis. PrevPreviousTop 10 Amazon Keyword Research Tools: Turbo Boost Your Sales in 2019!